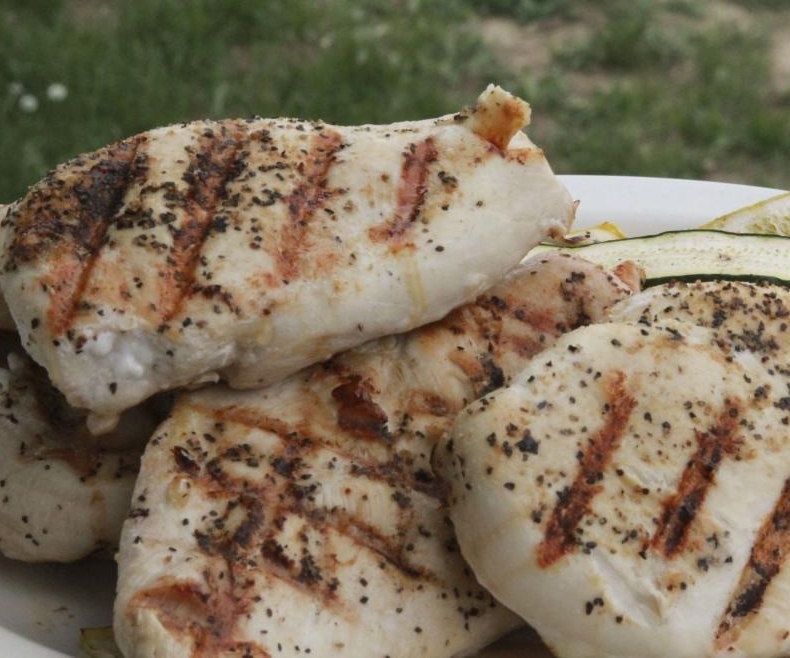 Are you ready to think grilling this summer? It might still be a little bit chilly outside, but it’s time for some fun pops of color and flavor to start permeating that amazing brain of yours. 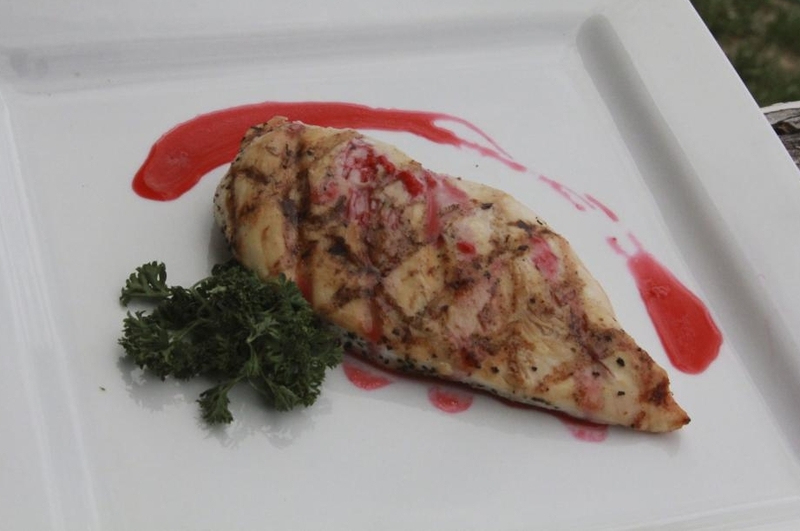 This simple recipe combines the mild acidity of chicken with the sweetness and color of a raspberry sauce you are going to make yourself in the kitchen (stop looking at me that way; I know you can do it). As I shared yesterday, raspberries are so vibrant and healthy, lending to your overall good health. You are going to love this dish. Tip: Can’t grill out? 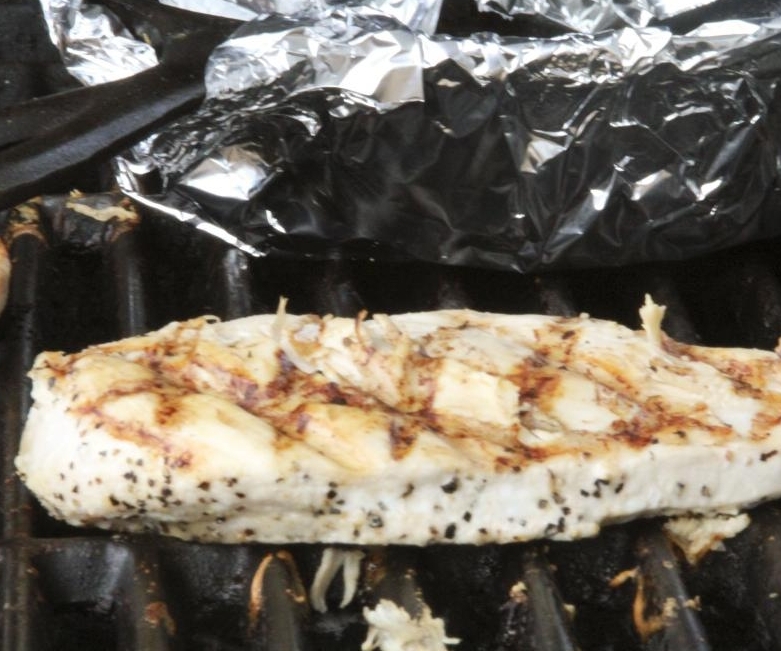 Use a grilling pan and a foil-wrapped brick to get those gorgeous lines. Preheat grill to medium. 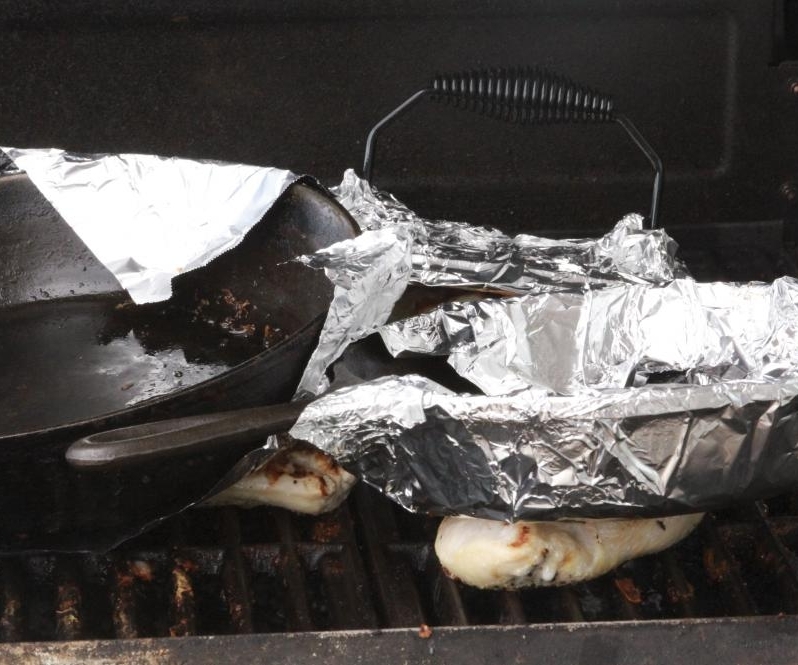 Wrap the bottoms of heavy cast iron skillets or grill proof pans with tin foil (heavy bricks work, too). 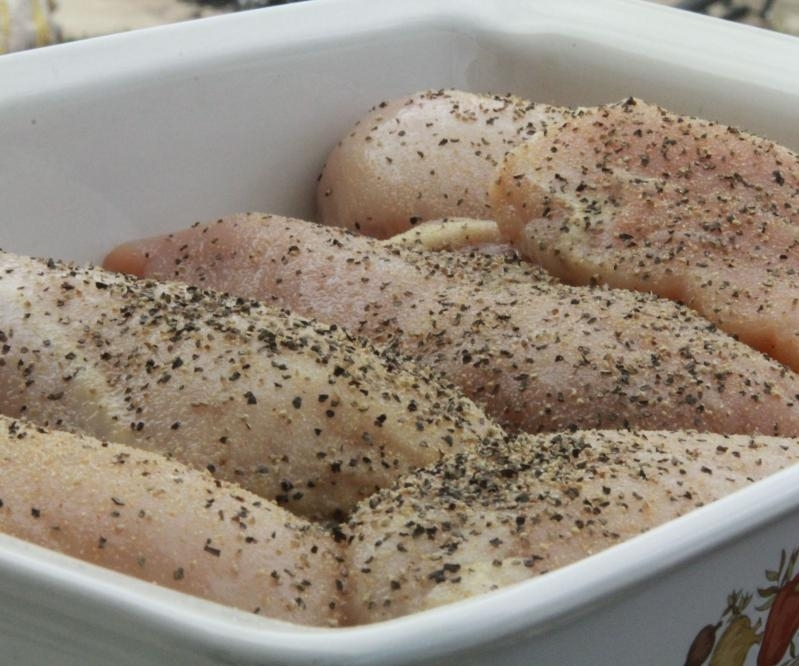 Place boneless skinless chicken breasts in a shallow pan. Sprinkle with salt, pepper, and garlic powder. Sprinkle with 4 Tbsp lemon juice. Let sit on counter (Refrigerate if cooking later). 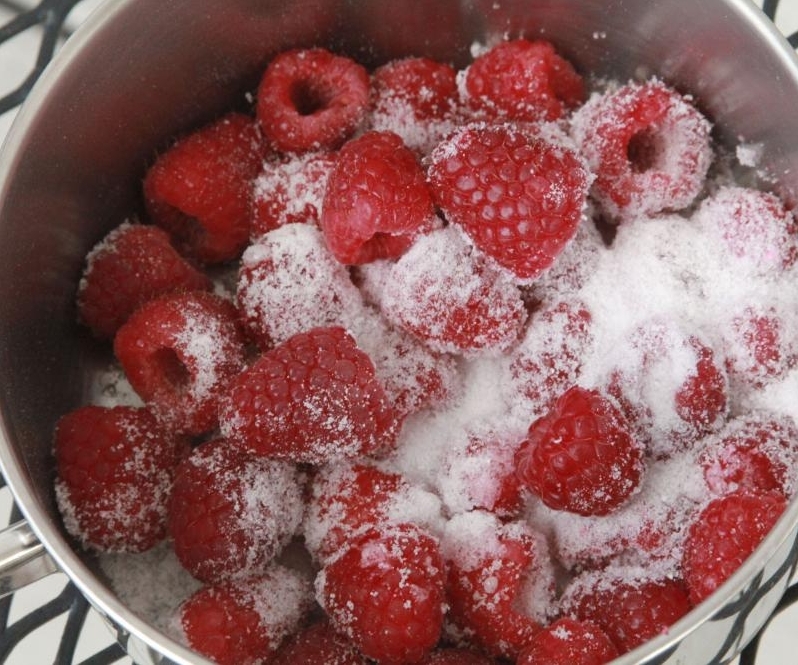 In a small saucepan on the stove over medium heat, place thawed raspberries, sweetener and remaining 2 Tbsp lemon juice. Mash ingredients together. Cook over medium heat until boiling, about 7 minutes, stirring occasionally. Turn stove down to simmer, just until liquid thickens. Remove from heat and strain liquids from seeds. Set liquid aside. Discard seeds. Carefully flip chicken with a spatula. Place heavy pans on top, and set the timer for two more minutes. At the two minute mark, again carefully remove pans, an turn the chicken at a 45 degree angle with a spatula to create hatch marks. Place pans on top and cook for 4 minutes longer, or until juices run clear. Remove from heat and allow to rest. Plate grilled chicken. 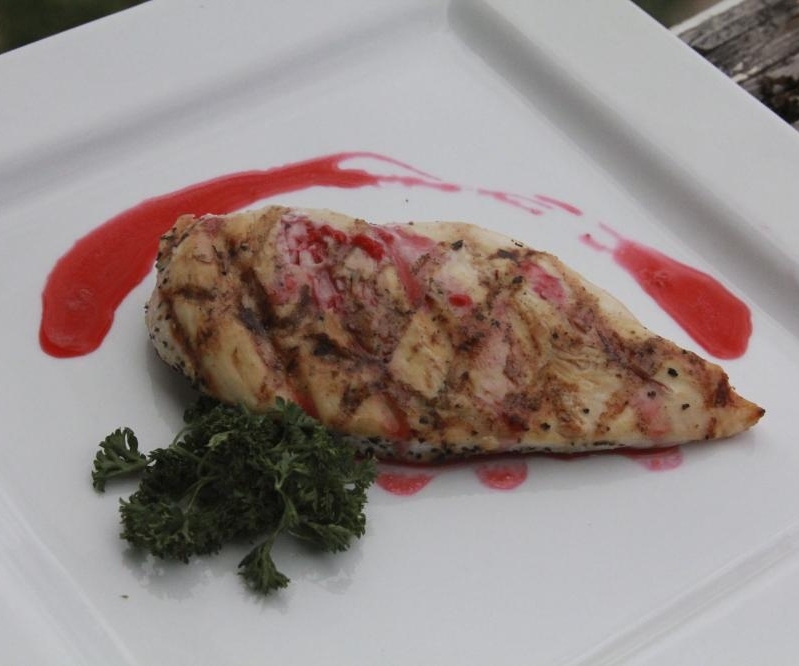 With a spoon, drizzle raspberry glaze delicately across the top of the breast in a zig-zag fashion. For extra flourish, draw a semi circle on the plate behind the chicken. Parsley can be added as a garnish. Looks incredible! I’m going to try making this tonight. Will go well with a fresh spinach salad. I hope you like it! It’s sun a fun, bright dish to make. And it’s pretty easy, too! 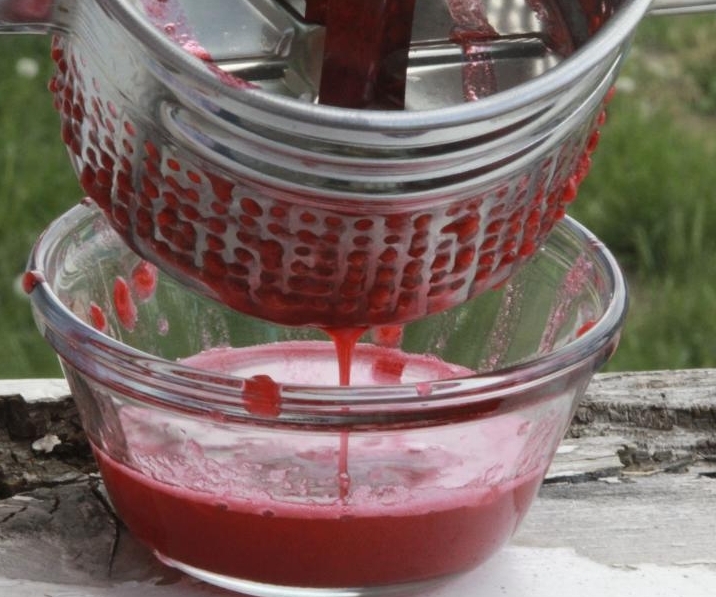 Jamie, are you using a potato ricer to strain the raspberries? I love your site–have been low-carbing for twelve years and it’s always great to keep the cooking exciting with new recipes. Thank you! Hi, Cathy! I did! It’s just easy. I also use the ricer to squoosh out liquids from my daikon radish, too, sometimes. It’s terrific for smaller quantities or where pressure is required. Thanks, Jamie, for answering! I couldn’t decide if it were a food mill or a ricer, but I’ll give it a try! Gotta be easier than using a sieve! Thanks! Gotta be careful with those pans though, you should change the foil so the part that touched the raw chicken doesn’t touch the cooked side. Hi there! I use a ricer. It’s nice for straining and smooshing out liquids from the solids. I use it for various purposes, including straining seeds and for daikon. This is one of my favorite all time meals. When i introduced my partner to it he thought i was crazy but now he is a bigger fan then me lol.